Size: approx. 50-100 mm. Photo: 07/31/11, 10 pm. 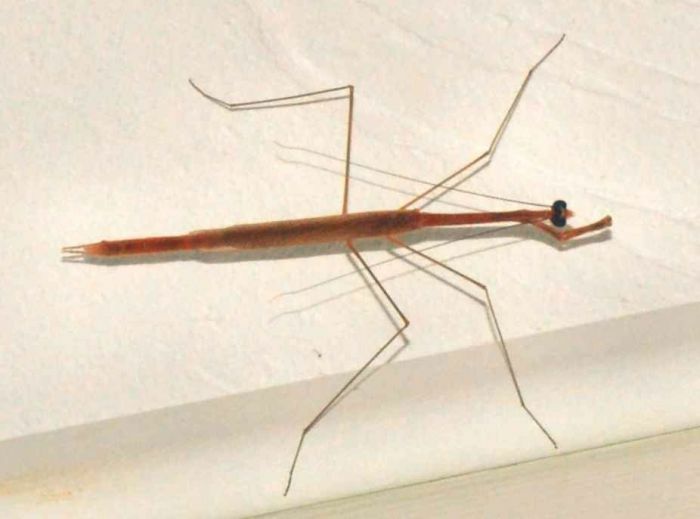 This praying mantis looks quite similar to a walkingstick insect. Females of this species can get as large as 7 cm; males are smaller but have long wings which make them good fliers. 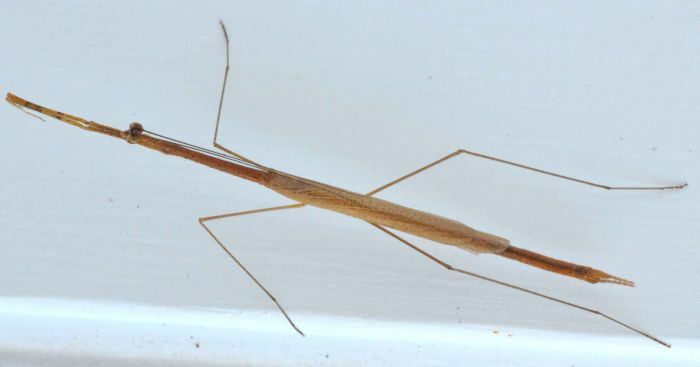 Thesprotia graminis can be found throughout the Southern US. It is sometimes attracted by light (possibly to find small insect prey). Adults are mature by late summer and usually die by winter.